In this video tutorial we will show you how to install word 2003 equation editor. In order to install word 2003 equation editor, open the Microsoft word. 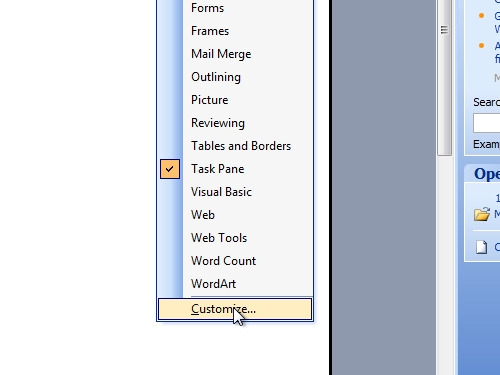 Right-click on excel panel and choose “Customize”. In “options” tab check “Always show full menus”. In the “Commands” tab click on “Insert”. Find “Equation Editor”, click on it, hold and drag it to the excel panel. Now click on the “Equation Editor” to launch it. Select formulas; enter data and when finished click aside with a mouse to add your formula to the document.